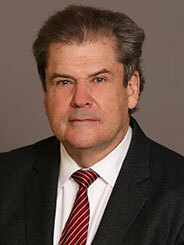 Charles L. Rosenzweig has had over 30 years experience in federal and state litigation and arbitration. He has participated in numerous hearings and trials both inside and outside New York, involving commercial, corporate, securities, real estate, intellectual property and private international disputes. He has represented asset-based lenders, and has substantial experience in acquisition, licensing, franchising and financing transactions. He has counseled clients in the finance, internet, steel, chemical, food, toy, apparel, real estate, retail, diamond and automotive supply industries. He has extensive experience with international transactions and with advising foreign clients in their operations in the United States. He is fluent in French and has familiarity with the German language. He is also familiar with U.S. antidumping, countervailing duty and other trade proceedings and issues. Charles is a member of the American Arbitration Association’s National Roster of Arbitrators and Mediators. He also serves as a mediator on the Panel of Neutrals of the Commercial Division of the Supreme Court of the State of New York, New York County. He was a member of the Executive Committee of the New York State Bar Association’s Commercial and Federal Litigation Section between 1995 and 2005, and served as co-chair of its International Litigation Committee between 1995 and 1998. He was co-chair of and a speaker at a 1998 continuing legal education program sponsored by the New York State Bar Association on Selected Issues in International Arbitration. He has authored and participated in several reports of that Committee and Section, including an article on the Foreign Sovereign Immunities Act and a report advocating the need for U.S. treaties harmonizing the recognition and enforcement of foreign country judgments. He remains a member of the New York State Bar Association’s Section on Commercial and Federal Litigation and serves on its International Litigation Committee. Charles is a member of the American Bar Association, as well as its sections on International Law, Dispute Resolution and Litigation. He is a member of the Westchester County Bar Association and serves on its Ethics Committee, where he has been the principal author of ethics’ opinions. Charles was a lecturer at “Strategic Directions for International Practice” a program sponsored by International Legal Training and directed to foreign lawyers. He has also lectured at New York Law School on Ethical Considerations in the Context of Civil Litigation. In addition to the reports he has authored for various bar association committees, he has co-authored an article with Catherine S. Campbell, Esq. “Do New York’s New Rules of Professional Conduct Really Change an Attorney’s Obligations with Regard to Client Confidences?” published in the Westchester Bar Journal’s Winter/Spring 2012 issue.